Someone at OSHA probably has a terrifying stat about the number of workplace injuries caused by teapots. But if everyone rushes out and buys this gorgeous glass hot beverage receptacle, we can do something about this critical national issue. The Ora teapot uses a double-wall glass construction to insulate your tea from the outside, just like a Thermos flask. As a result, the tea stays hot on the inside, whilst the cool outside also means you can do away with a handle, giving this pot a decidedly unique design. 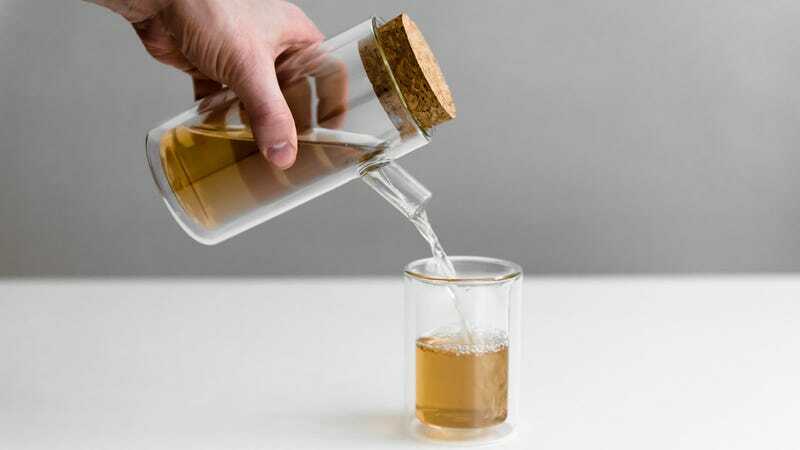 It's also made of tempered borosilicate glass — the same material used in lab glassware, which was the inspiration for the whole design — meaning that your tea will be scientific levels of sterile.